A number of popular websites, including Twitter and Netflix, were unavailable to some users on October 21st. The distruption of service was part of a massive cyberattack with international reach. I found myself wondering how to protect myself, my household, and perhaps by extension the reputation of my personal network. The attack was determined to be a Distributed Denial of Service (DDoS) attack. A DDoS attack is an attempt to make an online service unavailable by overwhelming that service with traffic from multiple sources. DDoS attacks target a wide variety of important resources, including banks and news media websites, and present a major challenge for people seeking to publish and access important information. Traditionally weak security from newly marketed consumer devices provides an attractive target for hackers. These hackers leverage the bandwidth and processing power of millions of devices, many of them with few privacy or security measures, to swamp internet sites and servers with an overwhelming volume of traffic. The new (and legacy) connected devices are considered by most experts to be the key contributing factor to the attack that took Netflix, Twitter, Spotify and others popular sites offline. This attack was partially due to a disregard for best practices during consumer setup. Consider how many connected devices may be reaching out to the internet from a typical home network and you can understand the vulnerabilities. After giving some thought to the implications of a massive DDoS attack, coupled with the recent escalation of ransomware, I decided to shop around for ways that I could ensure I’m taking the necessary steps to self-protect. Make sure known vulnerabilities are patched in a timely manner. Make sure your antivirus software is up to date. Backup your information at home. No patch or antivirus product is perfect. Key feature: CryptoLocker protection. Protect backup files residing on USB-based backup storage from potential CryptoLocker-type threats by automatically ejecting the USB backup storage media immediately after a successful backup is completed. A firewall is a network security system that monitors and controls the incoming and outgoing network traffic based on predetermined security rules. A firewall typically establishes a barrier between a trusted, secure internal network and another outside network, such as the Internet. 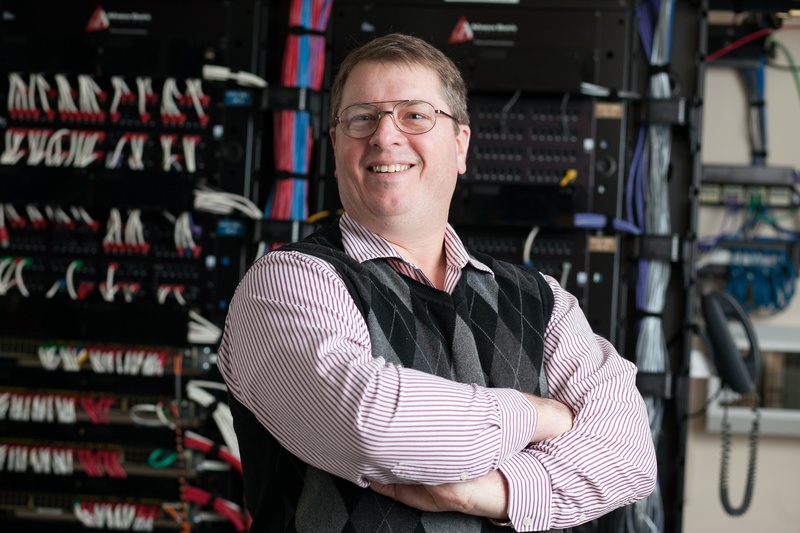 Mark Woodford is one of SymQuest’s Virtual Chief Information Officer's based in the Keene, NH office. Woodford is responsible for educating clients about the benefits of secure IT services, including: virtualization, infrastructure design, help desk support, strategic network projects, and cloud services.